Anuta Networks announced the general availability of ATOM, a powerful Assurance, Telemetry, and Orchestration platform for Multi-Vendor Networks. In this webinar, Praveen Vengalam and Kiran Sirupa will walk through the key elements of ATOM. 1. How are the new trends such as 5G, IOT, and Multi-Cloud going to impact Network operations? 2. 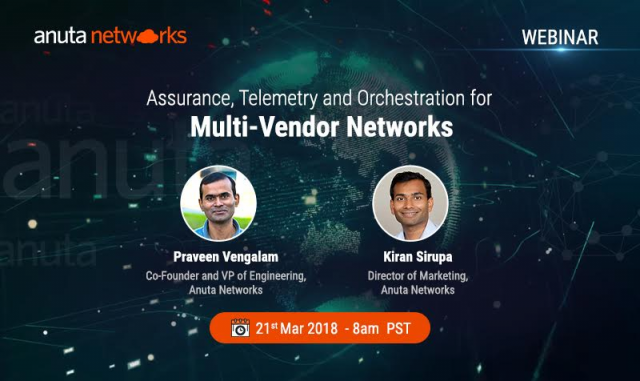 What are Anuta networks approaches to solving complex multi-vendor network orchestration and assurance challenges?